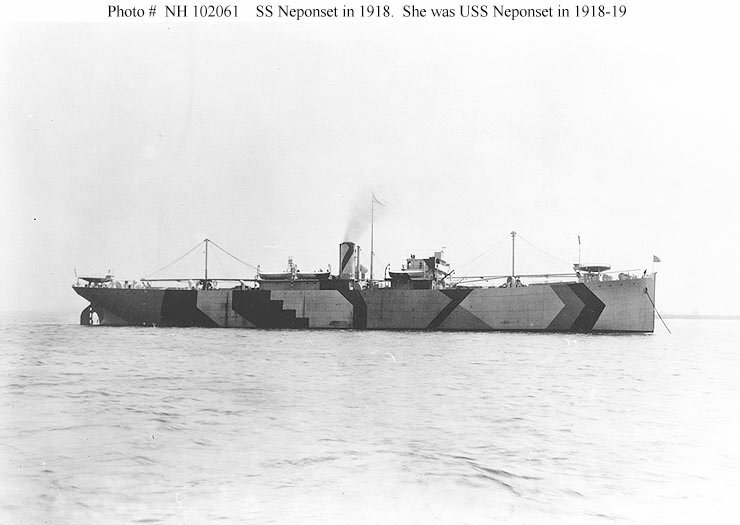 47k Photographed in "dazzle" camouflage when first completed by the Sun Shipbuilding Company, Chester, Pennsylvania, in 1918. 122k In port, possibly on 22 October 1918, when she was inspected by the Third Naval District. 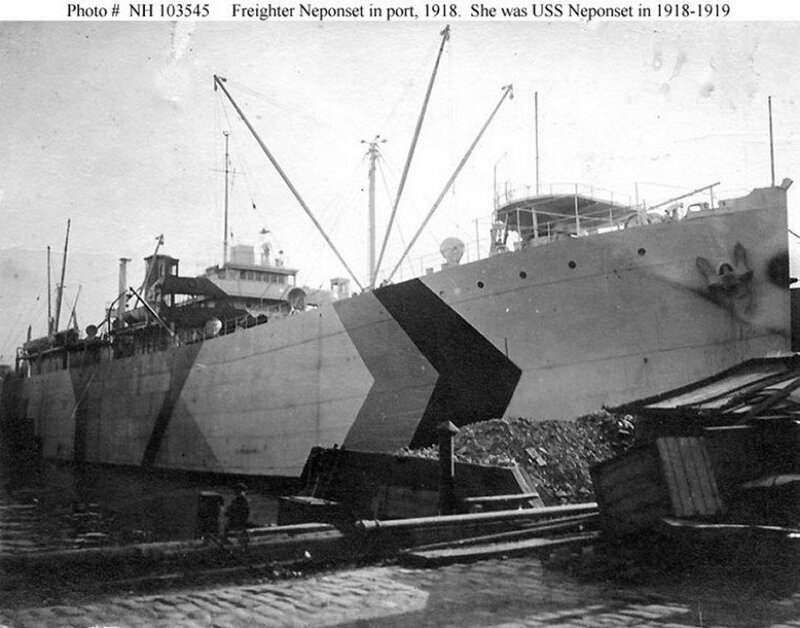 Dictionary of American Naval Fighting Ships History: Neponset (No. 3581), launched as Shawmut by the Sun Shipbuilding Co., Chester, Pa., 4 July 1918, was transferred to the Navy at New York 28 October 1918, and commissioned the same day, Lt. Comdr. Charles H. Lawrenee, USNRF. in command. After conversion to an animal transport, Neponset, with a general cargo and horses, cleared New York for France 13 November, arriving Bordeaux the 30th. Upon returning to the United States she was ordered out of service, decommissioned 4 February 1919 at Norfolk, and returned to USSB.